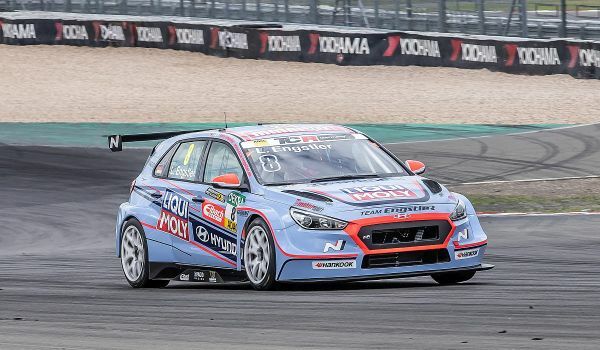 The ADAC TCR Germany fourth race meeting, this weekend at the Nürburgring, marks the debut of the Hyundai i30 N cars run by the Liqui Moly Team Engstler. Hyundai becomes the eighth brand represented in the series. The two i30 N cars driven by Luca Engstler and Théo Coicaud have completed their first test last week on the Eifel circuit. Though he has not scored a race win so far, Engstler is well in contention for the title, as he currently lies third in the standings, 26 points behind Harald Proczyk (HP Racing Opel Astra) and four behind Niels Langeveld (Racing One Audi RS3 LMS). Last year's races at the Nürburgring were won by Josh Files - who eventually claimed his second TCR Germany title - and Antti Buri. While Files has switched to TCR Europe, Buri (LMS Racing Audi) is currently classified fourth in the championship, 52 points off the leader and is eager to reduce the gap.